A while back, I did a review and then an interview with the main man behind Sviatibor. I was extremely impressed by his latest release and he hinted to me that he had another band starting up, a melodic black metal band that he would be working on with a friend. 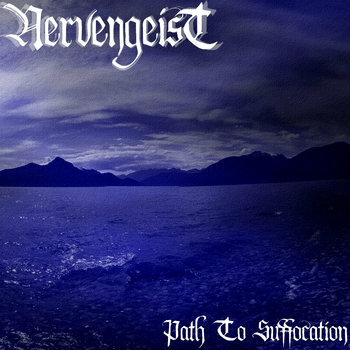 Nervengeist, the band that he was talking about, has just released their debut demo single and I am extremely impressed! When you download the music from Bandcamp (as a name your price download) you get three tracks, an intro, the main track and an orchestral remix of the main demo track. The sound quality is incredible for a demo and the musicianship is astounding. The orchestrations are rooted in the likes of old Cradle of Filth, while the instrumentation and vocals works are reminiscent of Emperor and their classic debut, In The Nightside Eclipse. In the short 12 minutes that this demo has to offer, the atmosphere builds to an unprecedented high and leaves you begging on your knees for more! This is an unbelievable debut that I am extremely proud to promote. You will not regret heading over and downloading this demo, I can promise you that!